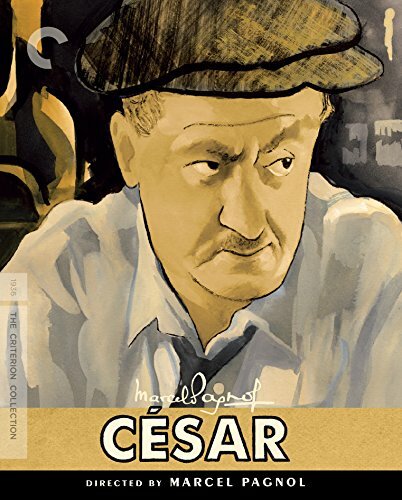 Though only made a few years after its predecessors, César moves The Marseille Trilogy forward nearly twenty years. Marcel Pagnol takes full control this time, both writing the original screenplay and directing. The results put the film somewhat at odds with itself. Of the three movies, César is the most comfortable in its own skin, yet so much so, it’s also a little too easy with itself and thus less realized, and at times even borders on self-parody when Pagnol is clearly pushing to deliver more of what everyone liked about Marius and Fanny [review]. The primary cast returns for this go-around, including Fernard Charpin as Panisse, the older sail maker who married Fanny (Orane Demazis) and accepted her son with Marius (Pierre Fresnay), Césariot, as his own. André Fouché (Playtime [review]) joins the film as the grown-up Césariot, and we are introduced to the boy as he returns home to visit Panisse on his deathbed. At the urging of the local priest (Thommeray), Fanny tells her son the truth about his parentage, stoking a curiosity in him. Who is this Marius, and why has he hardly been spoken of? And why doesn’t he have a relationship with his father, César (Raimu), who has been Césariot’s godfather this whole time? 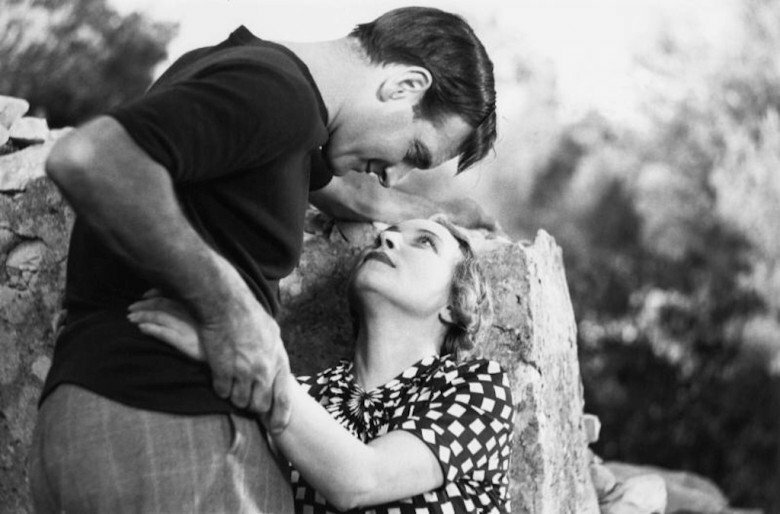 Choice is an important driver in The Marseille Trilogy, and the choices made in Marius and Fanny come to consequence in César. Marius is justifiably upset by decisions that were made without his being kept in mind, but he also has to reckon with his willingness to go along. We find out that he and César fell out, and the older man has to wrestle with his decision to put his grandson ahead of his own child. And Fanny has to answer to Césariot for the years of deception. Not to mention Marius’ broken heart. As is to be expected, Pagnol’s script really shines when it focuses on his principle characters in deep conversation. The past is scoured and hurt feelings exposed, and there is something compelling about listening to adults dig into actual emotions this way. They are unreliable and inconsistent in their expression, as most people are, and the flaws make them all the more real. Far less natural are the light-hearted scenes of César and his friends spending idle time together; a highlight of the first two films, they feel a little forced here. 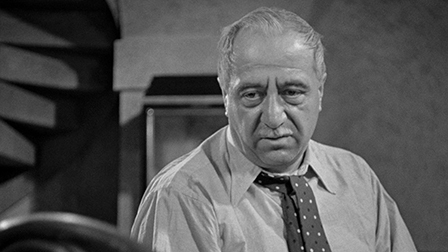 Pagnol’s direction suffers from some of the stiffness of the early sound era, despite freeing his narrative from the stage origins of the first two films. His framing and the staging can be a little obvious, and the camera movements occasionally clumsy. Pagnol inherits less of the smooth hand of Marius-director Alexander Korda, and more of the realism of Fanny’s Marc Allégret. In fact, in a lot of ways, César feels like early Neorealism, with the film having an overall natural look and making use of the seaside locations to an even greater extent than Fanny. * It makes for an interesting mix, since much of the plot here, with Césariot visiting his father incognito and Marius’ business partner filling the boy with lies about their supposed life of crime, borrows from traditional comedies of error. This juxtaposition works incredibly well, with the tone being reminiscent of some of Jean Renoir’s best work. Smartly, the auteur leans into the lighter side for his ending, making César a fine cap to the lengthy trilogy. * A year before César, Marcel Pagnol also produced a short musical documentary called Marseille, showcasing the city and its culture. This short is included on the César disc.